In June 2018, NMFC held a special meeting and shareholders approved the company becoming subject to a minimum asset coverage ratio of 150%, permitting the company to double its leverage. 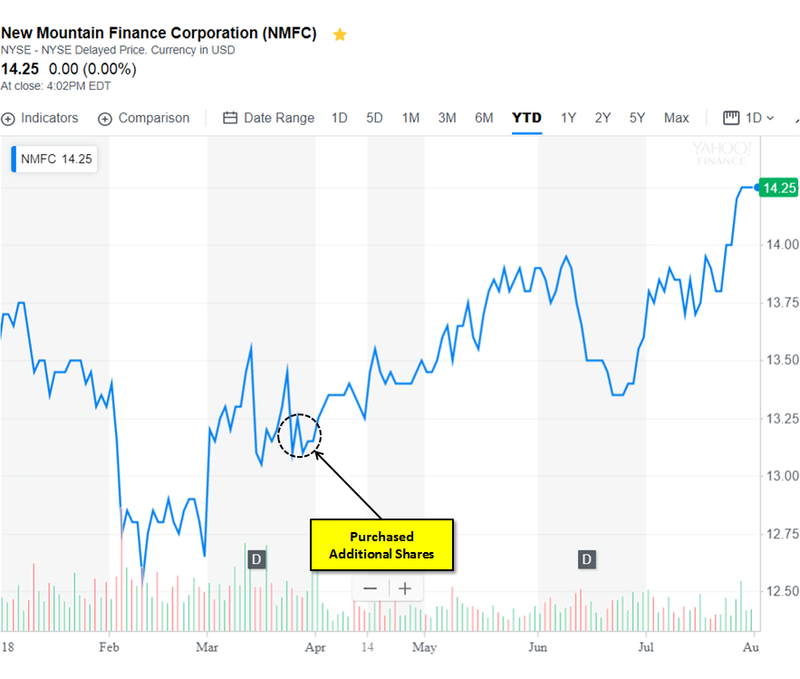 Earlier this year, I purchased additional shares of NMFC along with insiders and the stock is up almost 10% from recent lows. There is the potential for increased earnings over the coming quarters with additional leverage, its recently established third SLP and the continued ramp of the previously formed real-estate entity “Net Lease” structured as a REIT. As a result of the stockholder approval, effective June 9, 2018, the asset coverage ratio under the 1940 Act applicable to NMFC was decreased from 200% to 150%, permitting NMFC to incur additional leverage. Due to the recent portfolio growth, the company was at the higher end of its target leverage as discussed and shown below. Previously, I was expecting an equity offering in Q3 2018 which is likely not needed given the recent shareholder vote.